With an endless cavalcade of unusual creatures, landscapes that shift from forest to desert and back again in a matter of miles, and a sense of wild wonder that permeates everything, there’s just no place like Madagascar. Situated 250 miles (400 kilometers) off Africa’s southeastern coast, the island teems with life – much of it peculiar, all of it captivating: chameleons, sharks, whales, brightly colored frogs, sprightly lemurs, and oddly shaped baobab trees. Crisscrossed by explorers but never tamed by them, Madagascar is one of those rare places that sounds surreal on paper, but once you’ve seen it for yourself, feels more vibrantly real than home. This exclusive Explorers Club Collection adventure is your backstage pass to Madagascar. From Antananarivo, you’ll enter Andasibe-Mantadia National Park in search of the critically endangered indri, one of the largest species of lemur. Later, lace up your hiking boots and venture deep into UNESCO-protected Tsingy de Bemaraha National Park, home to the dramatic forest of jagged limestone tsingy, where recent Explorers Club flag expedition took place. After walking the famous "Avenue of the Baobabs," the scene shifts to Ankarafantsika National Park, a birdwatcher’s paradise. With an eye peeled for the elusive for Rufuos Vanga and other rare creatures, you’ll explore this fascinating place in the company of expert guides. On this part of the journey, head to a rural village with representatives of Planet Madagascar, an NGO founded by Explorer's Club member and leading primatologist Travis Steffens. 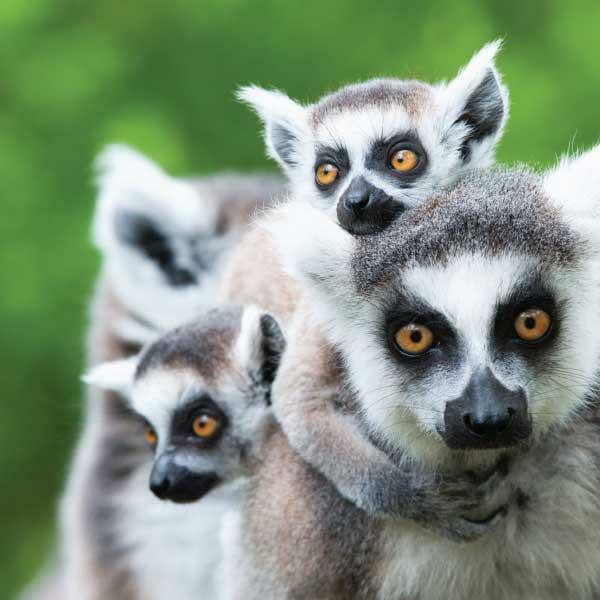 Planet Madagascar aims to promote sustainable forest communities and lemur habitat preservation in villages of Madagascar. While this is trip built for intrepid explorers and active hikers, the hardest obstacle to overcome will be the realization that, eventually, you’ll have to return to civilization. The Explorers Club Collection by Kensington Tours is an exclusive suite of travel experiences inspired by the expeditions of the world’s foremost society of scientists and adventurers. Each tailor-made Explorers Club trip connects you to the world’s most fascinating people, places, and experiences with expert local guides and award-winning 24/7 service support. On-trip experts and experiences are subject to change depending on availability.